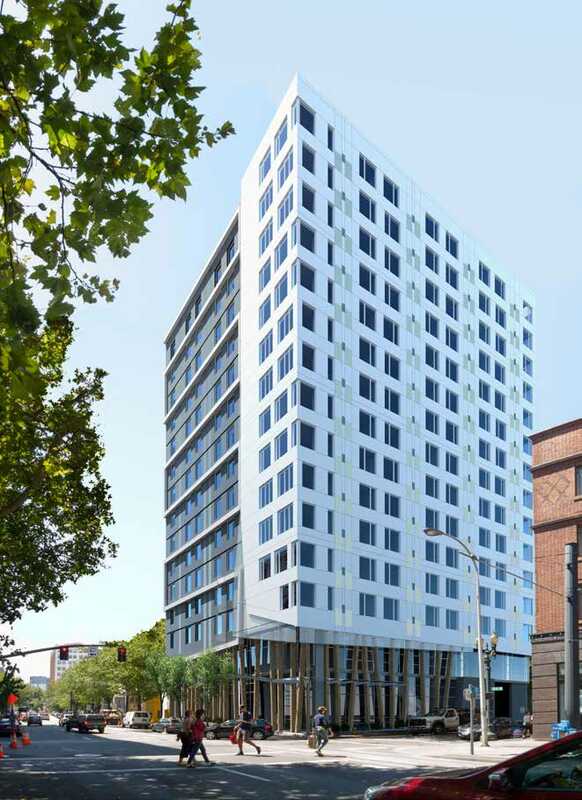 A 13-story mixed income development by Lever Architecture and LRS Architects for Home Forward has gone before the Design Commission for Design Advice. 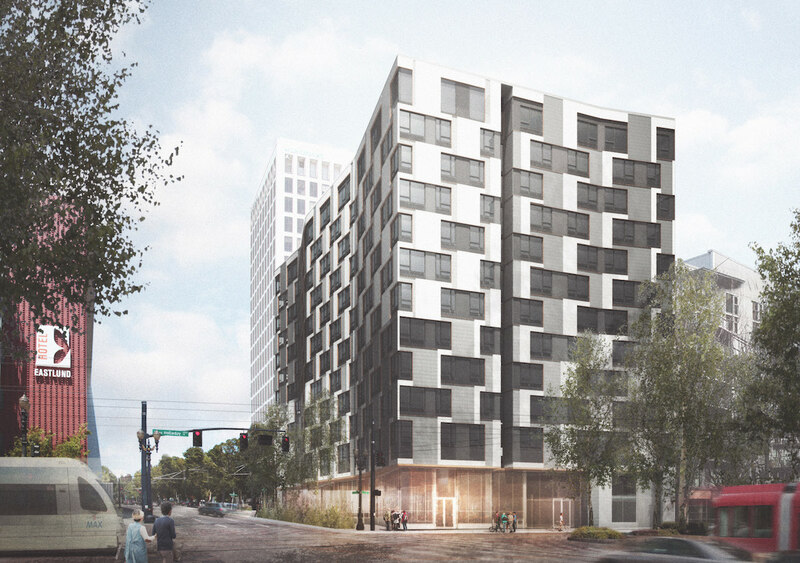 The project on Block 45 of the Lloyd District is one of the projects that won city funding through the 2015 Super NOFA process, and will include 240 apartments. 109 of the apartments in the 131’-6’ tall building will be affordable housing, while 131 of the units will be leased at market rates. 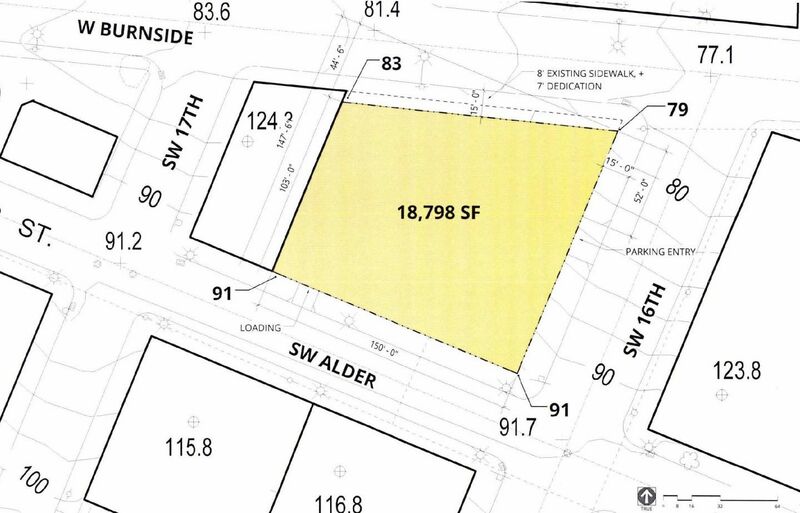 Approximately 7,000 sq of retail is proposed at the ground floor, facing NE Grand Avenue. No vehicular parking is proposed for the building, however discussions have started with Kaiser about leasing stalls at their proposed parking garage in the evening. Kōz Development has gone in front of the Design Commission with proposals for Derby NW, a new seven story mixed use building. The building will contain 128 residential units, 20% of which will be affordable to those earning less than 60% of area median family income. At the ground floor the building will include a retail space at the corner of NW 16th & Marshall, as well as the lobby/amenity area and 12 of the residential units. Long term bicycle parking for at least 150 bicycles will be provided. No vehicular parking is proposed. 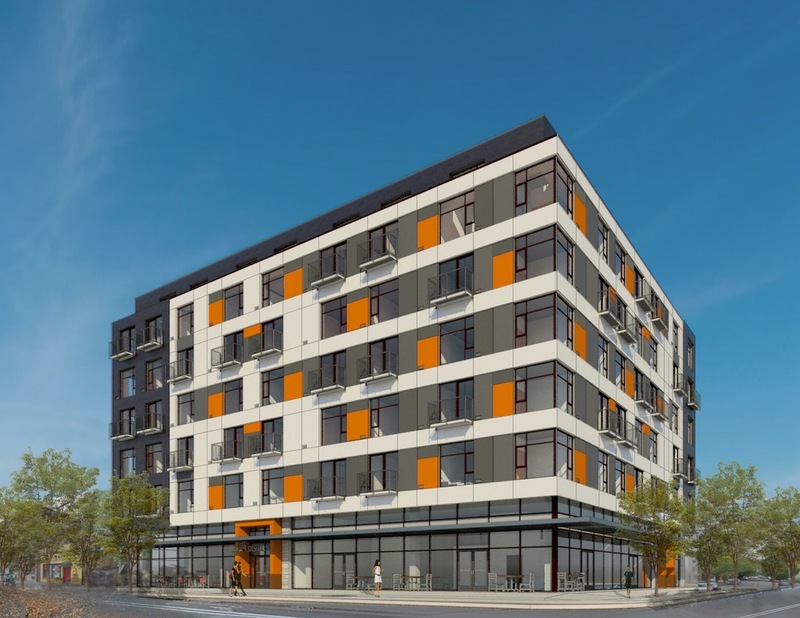 An initial Design Review hearing has been held for the Ankeny Apartments, a new development in the Central Eastside with a mix of 17 one and two bedroom apartment units, and designed by YGH Architecture. The 6 story building is intended to achieve net zero energy use, and incorporates sustainable features such as photovoltaic panels at the roof and walls, triple pane passive house rated windows, and highly insulated walls and roofs. Three parking spaces for plug-in vehicles would be provided at the ground floor, which would also include long term bike parking for fifteen bicycles. The remaining required long-term bike spaces will be located within the units. New 3 story apartment complex – approximately 11 units. 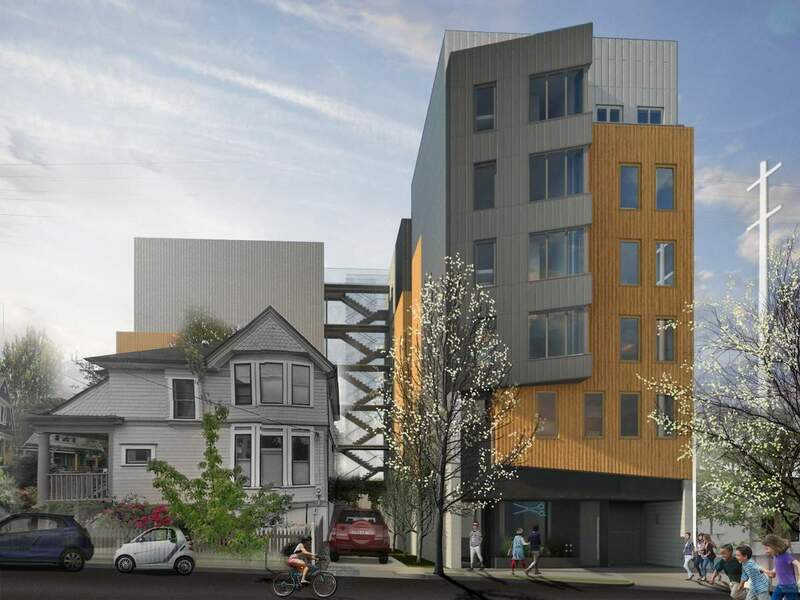 Proposal is for a new apartment building with 61 units and 17 parking spaces. Proposal is for maximum density six unit condo project with amenity bonus option to get the six units. Proposal is for a new apartment building 39 units & 7 parking spaces. New 46 unit apartment complex. New residential development project with approx. 200 units in six stories with one level of below grade parking accommodating approx 103 stalls commercial and residential. Construction of a new 15 story mixed use apartment building. 268 apt units with some ground floor commercial. Below grade parking approximately 150 spaces. Proposal is for a new self-storage building that is multilevel and approximately 85,000 sf. New 17 story mixed use apartment building, 292 living units, first floor retail and parking, underground parking approximately 189 spaces. . Property to be divided prior to development. New 4 story 34 unit apartment building with 2000 SF of ground floor retail. A gas explosion in NW Portland destroyed the 110 year old Wilfred & Gustav Burkhardt Building, and caused significant damage to nearby buildings including Allied Works’ Ann Sacks Residence at 2281 NW Glisan St. The explosion happened after an underground gas pipeline was struck by a subcontractor performing pre-construction work at the site of the future Restoration Hardware. The DJC wrote about the partnership* between Beam Development and Urban Development + Partners, who first collaborated on the Central Eastside building Slate. Future projects include the adaptive reuse of the Hotel Chamberlain at 509 SE Grand Ave, a 13-story mixed-use development at 550 SE Martin Luther King Jr Blvd, and a mid-rise creative office building at 525 SE Martin Luther King Jr Blvd. Construction finished over the summer at Milwaukie Way, the Westmoreland retail development that wraps around Relish gastropub. The Portland Business Journal took a look at how it turned out. Eater reported that Catalan restaurant Can Font will open a second location, in the ground floor of the Cosmopolitan on the Park. The Oregonian reported that modern Mexican restaurant Alto Bajo will open early next year in the Hi Lo Hotel. The Portland Mercury reported that Sellwood burger restaurant Mike’s Drive-In is likely to be replaced by new apartments. Developer UDG recently requested Early Assistance for a 78 unit residential building at 1725 SE Tenino St.
Portland Architecture discussed the design of Portland Art Museum’s proposed Rothko Pavilion with museum director Brian Ferriso. 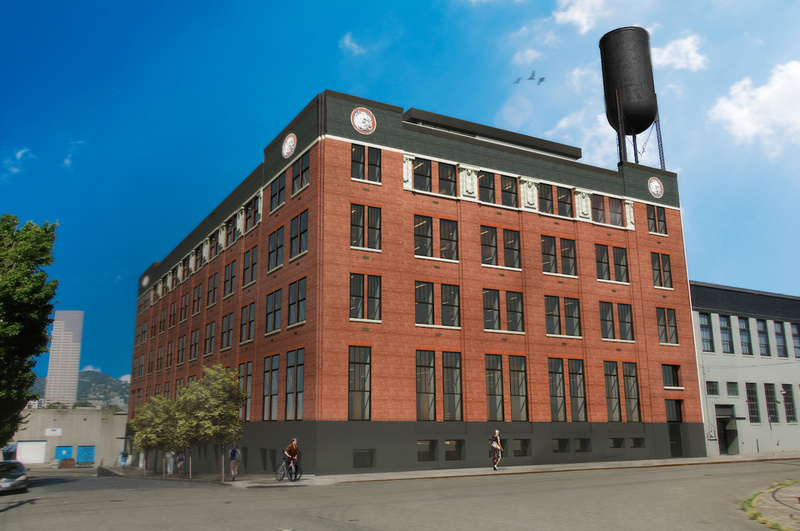 The Portland Business Journal reported that a groundbreaking ceremony for 9101 Foster was planned for Sunday. 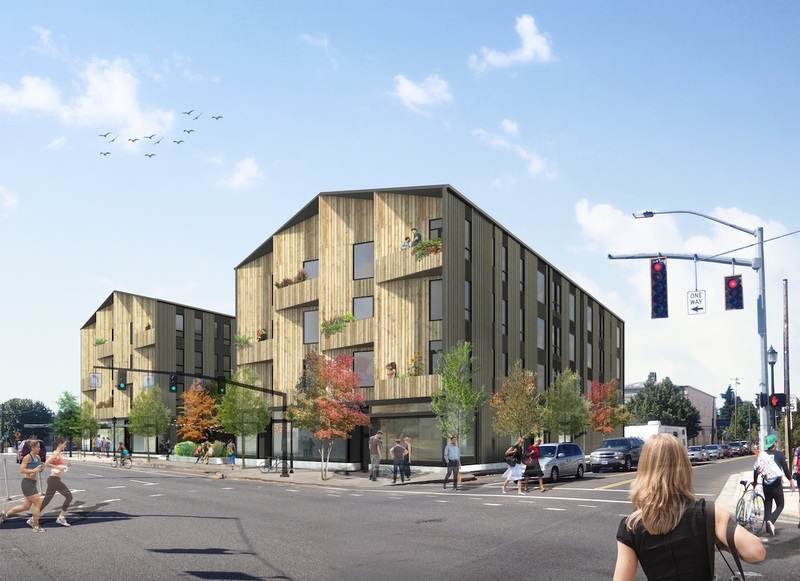 The PDC developed building in Lents Town Center will include 54 apartments–16 of which will be affordable housing–and 9,000 sq ft of retail space. Kevin Howard of Northwest Self Storage wrote in the Portland Business Journal about the boom and the impending bust of self-storage facilities in Portland. The Design Commission has approved the Jantzen apartments, a new mixed use building by SERA Architects for developer Mapleton Waterloo. The 6 story building would include 212 residential units, including 5 ground-level apartments oriented to the courtyard. 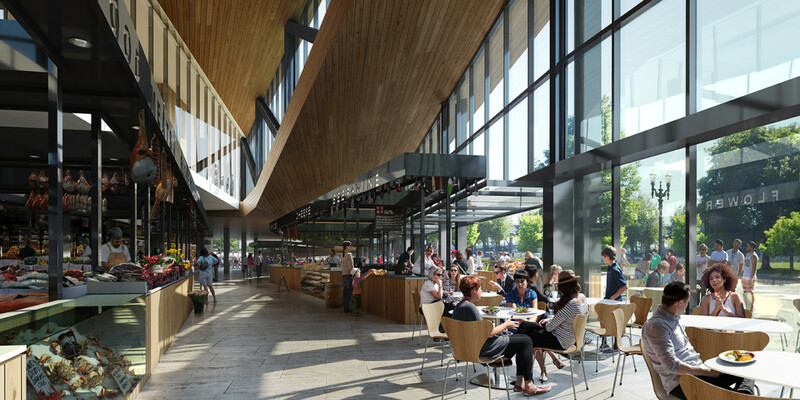 Approximately 6,000 sq ft of retail space will be located at the ground level facing NE Glisan St and 20th Ave. Live/work units will front onto NE Hoyt St and 21st Ave. 120 below-grade parking stalls are proposed, along with 235 long-term bike parking spaces. This is an updated version of a post originally published in August 2015. 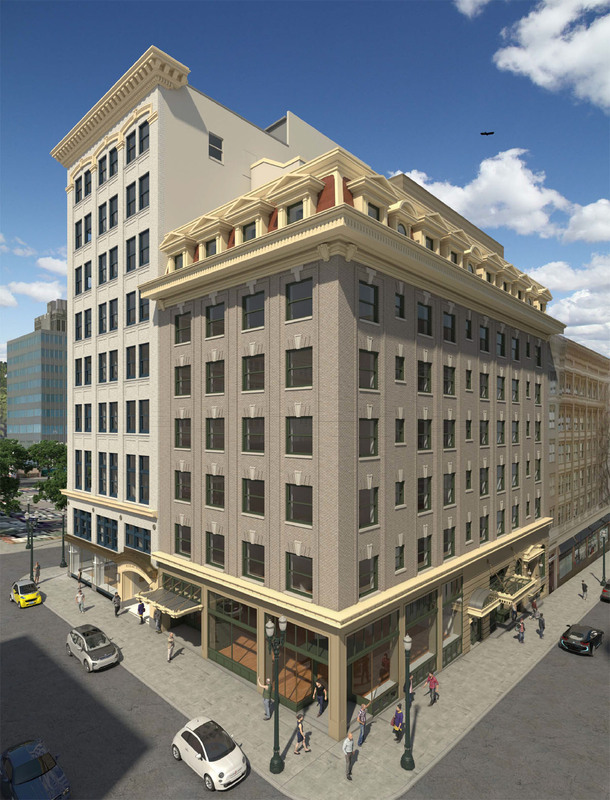 Construction is underway on The Woodlark hotel, a major renovation of two downtown buildings. The project will convert two adjacent National Register listed buildings into a single hotel, to be operated by Provenance Hotels. News of the 151 bed hotel was first announced in February 2015, after years of uncertainty over the future of the Cornelius Hotel building, which faced possible demolition as recently as 2013. The renovation is being designed by MCA Architects and funded by NBP Capital. SERA Architects and developer Mortenson have gone in front of the Design Commission with proposals for a 15 story hotel at SW 11th & Alder. The 150′ tall building would include 220 hotel rooms, with a lobby, bar / restaurant and lounge at the ground level. Meeting rooms and a fitness room would be located at the second floor. No vehicular parking is proposed. 14 long-term bike parking spaces are proposed in a locked, basement level room. HEARING – Construction of a new 7 to 8 story mixed use building. There would be 134 residential units, 94 structured parking spaces and ground floor commercial facing West Burnside and Southwest Alder. The entrance to the garage is on SW 16th. Construction of a new 13 story hotel and residential development on on/half block site. Full Block mixed use development with 5 levels of residential over 4 levels office over ground floor retail/market and lobby with 2 levels of below grade parking. New 5-story multi-family residential development – approximately 155 units. 206 unit, 6-story apartment building with basement parking and partial retail on the first floor. New 6-story 64′ high, 89 unite mixed-use/multi-family. It includes on off-site surface parking and bike parking.